Nestled high in the cloud forest, the town of Boquete is one of Panama's ultimate eco-tourism destinations. Enjoy the cool weather, beautiful landscapes, and active lifestyle of this mountain community as you climb natural rock formations and explore the coffee-growing region of Panama. Beginners and advanced climbers are welcome! Transport, Meals, Lodging, and Rock Climbing Package Included! This trip has a maximum group size, so please hurry to reserve your spot by booking now. 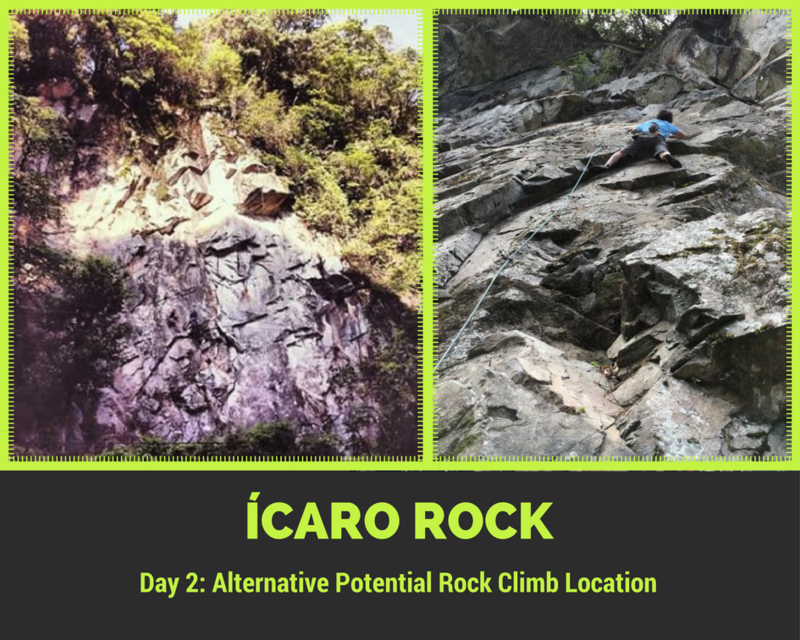 Don't miss out on the best rock climbing trip in Panama! Tres Brazos Outfitters Weekend Warrior Packages are the ultimate way to experience the finest ecotourism activities and destinations of Panama. WW trips are meticulously designed to maximize your weekend and minimize your expenses, headaches, FOMO, and footprint. We take care of all the details from start to finish, so that you can truly enjoy being a Kalu Yala Weekend Warrior! Starting and ending in the Kalu Yala valley, you don't have to worry about a single leg of the trip...no taxis, no public buses...just streamlined transport with private shuttles so you can bond with your fellow Kalu Yalans on an unforgettable weekend road-trip! Additionally, Weekend Warriors get priority seating on Bruce the Deuce! A combination of local fonda/restaurants, homemade picnic lunches, and barbecue-style cookouts, three amazing meals a day (plus snacks) are included! All dietary restrictions can be accommodated. No alcohol provided, but opportunities to buy drinks will be available. Friday and Saturday nights: trip includes two nights of camping-style lodging in Boquete, so bring your hammock or tents can be provided.